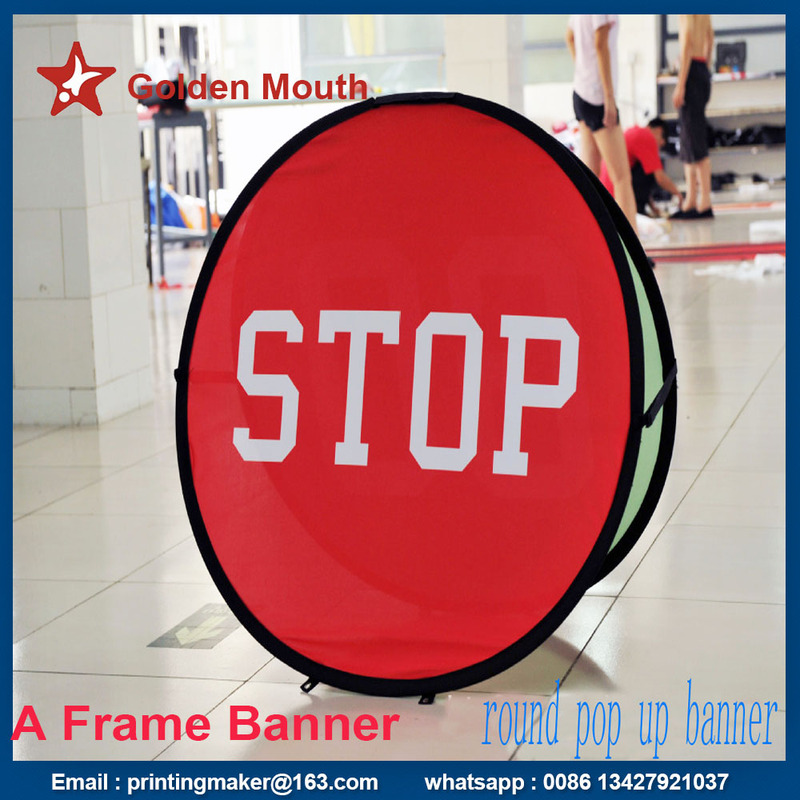 Product categories of Oval Pop Up A- Frame Banner, we are specialized manufacturers from China, Popup A Frame Banners, Double Side Banner Stand suppliers/factory, wholesale high-quality products of Pop Up Banners R & D and manufacturing, we have the perfect after-sales service and technical support. Look forward to your cooperation! Circle / Oval pop up a frame banner as one style of banner signs give you unique advertising method .Double sided with heat transfer printing (1440 *1440 dpi ) to make the color vivid and standing out outside & inside .They are used in sports events ,wedding ,promotion ,anniversary ect . 280g soft elastic fabric printing with steel frame . Screws on the bottom of the banner to make it strong in the wind weather .